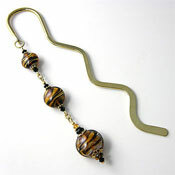 You will find all sorts of 'Non-Wearable' items here. 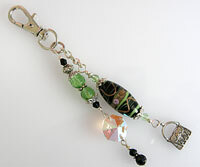 We can offer you bookmarks, keyrings, mobile phone thingies, handbag and purse charms, suncatchers and dangly things. In fact - gifts for just about everyone. Please click on the links below to begin browsing.